I’m a big fan of the antelopes, a group that is most commonly associated with Africa but which also occurs in Asia and, if you stretch the term to be cladistically meaningful, Europe and North America. By this I mean applying the term antelope to cover all of the family Bovidae, which would include the sheep, goats and ox. But it is in Africa that the group reaches its most diverse, from the enormous Eland to the diminutive Suni, and a whole range of body types in between. 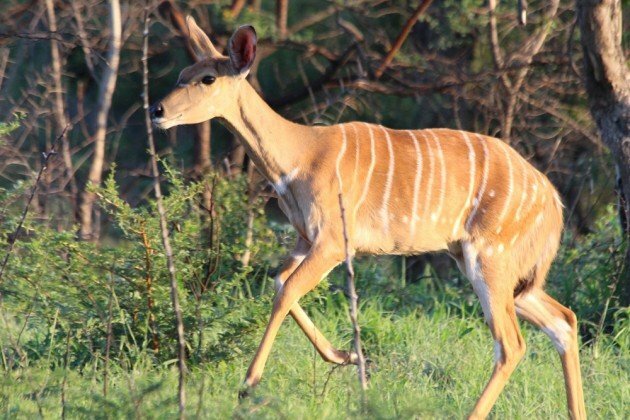 In some ways the the flowering of the antelopes as an evolutionary group mirrors our own story, as they benefited and spread widely as the world’s forests gave way to savannah and plains, just like humans. 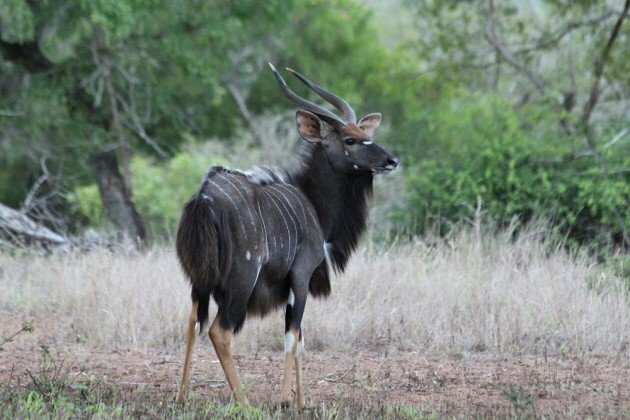 Anyway, while there are many species that I’m always pleased to see (I’m a particular fan of the aquatic kobs, lechwe and pukus) it was only on my last visit that I saw one of the more attractive species for the first time, the Nyala (pronounced Nnya-la, not Nye-al-ah). 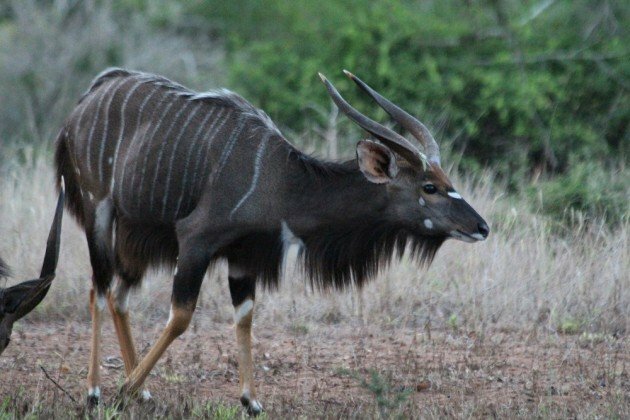 One of the spiral-horned antelope (the antelopes are a huge family and much sub-divided) it resembles an intermediate between a Lesser Kudu and a Bushbuck, albeit with much longer and more attractive hair on the males. Like many of its close relatives the males and females are different in appearance, with the females looking most like their relatives. 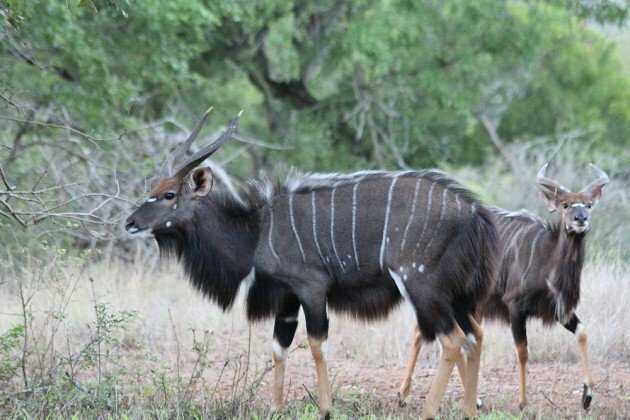 Nyala are much appreciated by hunters and tourists, which has led to their being introduced to many parks and reserves around Southern Africa outside their natural range. They are somewhat fickle though, and while they may do so well in some locations that they become a pest, in other locations they may be sulkily disinclined to do well. 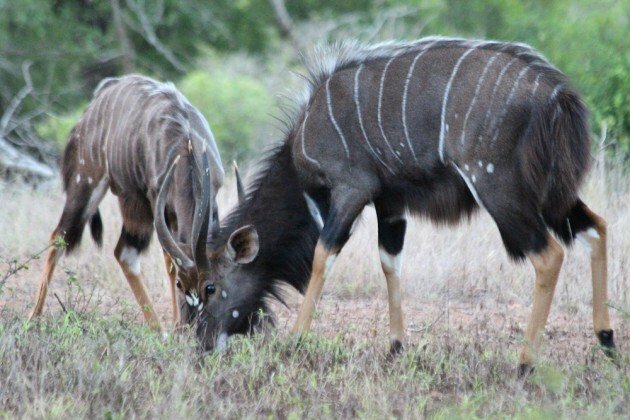 It isn’t just tourists and game hunters that like them though; Painted Wolves are also big fans, as they are easier to bring down than the larger species but have more meat to eat than a small duiker. 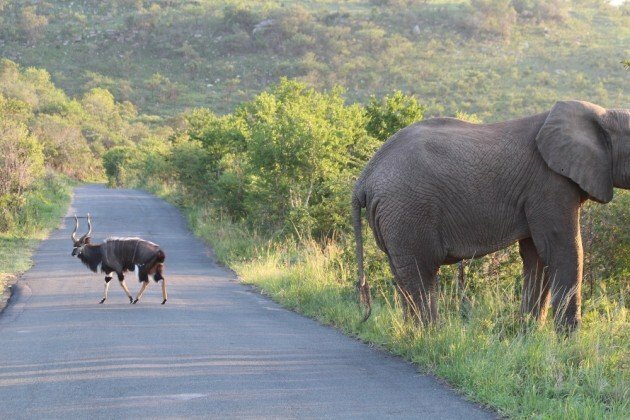 I saw these two males outside my cabin in Mkuze, where they were unconcerned by my presence. With an elephant for scale. These look just like those animals in the cave paintings in France! Great photos and fun commentary. Especially like the elephant scale! 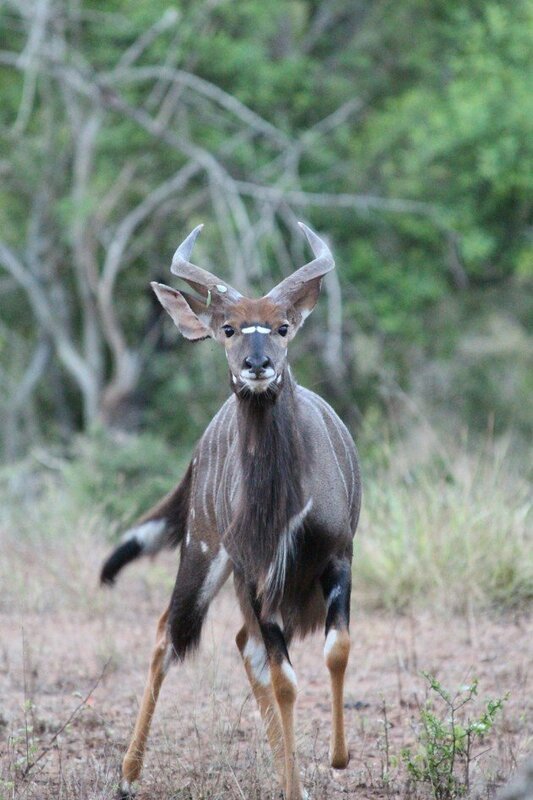 The Nyala is indeed an attractive animal, one of several I recently saw on a birding trip to South Africa. 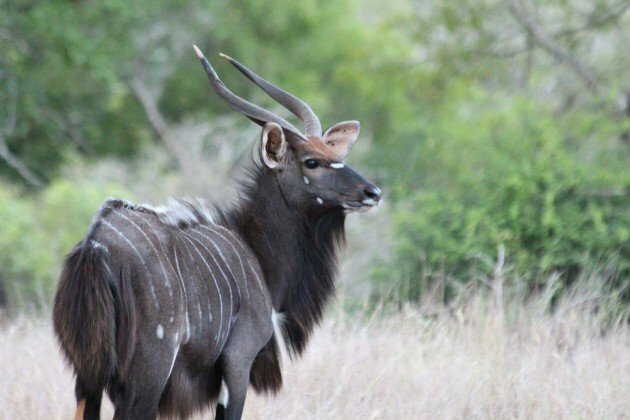 However, my favorite is the Sable Antelope, observed last year during a safari tour in Zimbabwe. The color of the female is really different. They are very nice animals, also very beautiful photos. Can Brooklyn’s Swans and Anglers Coexist?